1.) RECESSED....the more the merrier. As mentioned above, this is a great way to add light while keeping things simple. 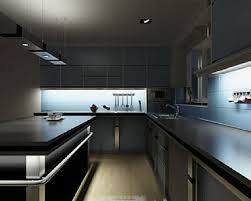 If your budget allows go with smaller, low voltage or LED lights. 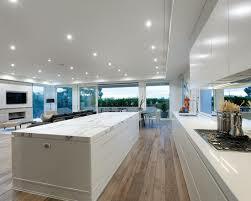 The colour spectrum of recessed lighting can vary drastically, so pay attention to this factor. 2.) CABINET. Adding under-cabinet and inside cabinet lighting (typically called puck lighting) is a great way to back-light glass cabinets and softly light your counter space. These are an inexpensive way to add class and ambiance to your kitchens and bathrooms. 3.) EXTERIOR. This is an area where you can get crazy. Landscape lighting, lighting built into concrete stairs, exterior sconces, recessed lighting in soffits and the list goes on. If you want to see your house on Google Earth, by all means, spend that money. Some of the nicest examples I’ve seen though are simple up/down sconces at key locations. 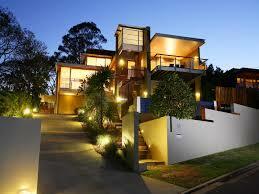 These shine light up the side of the home as well as light the space below, which creates height and appeal. Pots above a foyer are also a must. 4.) PENDANTS. 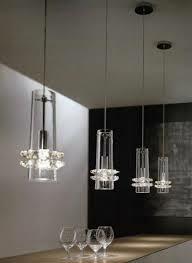 The beauty of pendant lighting is that they come in all styles. Ornate, minimal and everything in between. They don’t have to break the bank the best examples will light a counter for function while creating conversation at the bar of a kitchen island. 5.) LAYER IT. No matter what your style or budget, keep “layered” in the back of your mind. Remember, you use your home in different ways at different times. You don’t always want to get a tan while having a glass of wine in your living room. Utilize dimmers, floor lamps, and multiple zones within your primary living spaces to reflect the mood you are trying to achieve. Whether renovating or building new, lighting is an often an underestimated and overlooked realm. Our homes live and breath with us and can change their moods dramatically with simple lighting touches that don’t have to cost a fortune. There are lighting options for every architectural genre, so have some fun with it!